Whether your business has a fleet of a few cars and trucks or dozens of them, managing that fleet is a feat in and of itself. 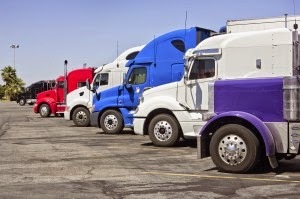 Finding a solid fleet solution has become a must for most fleet managers. Today's fleet management software has evolved to include GPS services that provide you with real-time insights and greater control over your fleet. A fleet solution with integrated GPS services requires that each fleet vehicle be equipped with a GPS tracking device. Various devices are available for fleets including plug-and-play modems and hard-wired modems. Depending on your preferences, modems can be installed in non-accessible locations to prevent tampering. Client software communicates with these devices, allowing dispatchers and managers to instantly determine any given vehicle's exact whereabouts. Depending on the fleet solution you choose, this client software could be installed on your corporate network or hosted in the cloud. Service-oriented businesses can dramatically improve customer service and operational efficiencies with GPS tracking systems. For example, if your technicians make service calls, GPS tracking aids dispatchers in routing as well as allows them to keep customers informed of the technician's estimated time of arrival.
. Dispatch - Dispatchers can view the fleet management software and see real-time locations of all service vehicles, allowing them to instantly locate technicians as well as select the closest vehicle for emergency services. They can also view real-time traffic information and traffic cameras, allowing them to help driver select the most efficient route to a given destination possible.
. Operations - From an operational perspective, fleet management software can be set up to include maintenance records, examine driver behaviors and trends, identify areas where your fleet vehicles congregate, notify managers when technicians arrive at or leave a job site, send alerts when speeds have exceeded predetermined limits, notify you should a driver leave a designated "geo fence," and much more.
. Access - In addition to fleet management software accessible from your office, Trackem is available for iPhones, iPads, Android phones, and Blackberry devices. Managers and dispatchers can keep in touch with the entire fleet regardless of where they may be physically located. Technicians are always a tap away. Location-based text messaging allows you to communicate with drivers instantly as well as detect their exact location using a GPS tracking device. 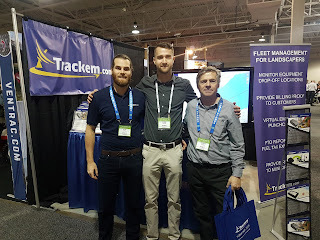 In fact, many companies use Trackem navigation GPS tracking systems as cloud-based time clocks. Mobile users "check in" and "check out" using the phone tracker. You could set this up for daily time clocks as well as use it to track the amount of time spent on each job. In addition to real-time views of your entire fleet, detailed, highly visual reports are also part of Trackem's fleet solution. Examples of fleet reports include: fleet data, heat maps, history, stops, geo fencing, proximity, and maintenance records. How you use these reports is up to you. For example, you could use GPS tracking system reports to plan more efficient routes, identify potential new territories, monitor fuel costs, or even request reduced insurance rates. You could also use location data to confront employees who have demonstrated reckless driving behaviors or have deviated from authorized areas. 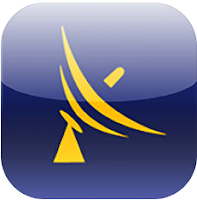 GPS services and fleet management software work together to help you manage your business better. Learn more by visiting Trackem.com.